Situational awareness: Speaker Nancy Pelosi is denying President Trump a State of the Union from the House floor until the government reopens. Read the letter. P.S. : Michael Cohen wants to postpone his scheduled Feb. 7 testimony before the House Oversight Committee, citing "threats against his family from President Trump and Mr. Giuliani." 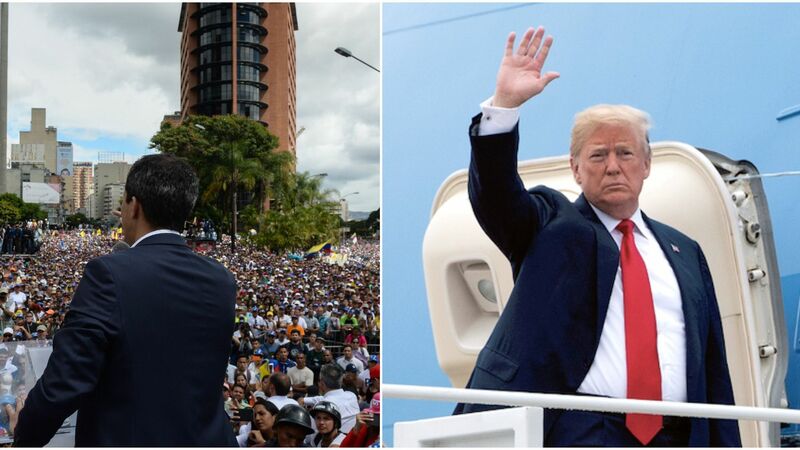 Trump at 1:05 pm today: "Today, I am officially recognizing the President of the Venezuelan National Assembly, Juan Guaidó, as the Interim President of Venezuela." Maduro responded by cutting off relations with the U.S. and ordering American diplomats to leave the country. 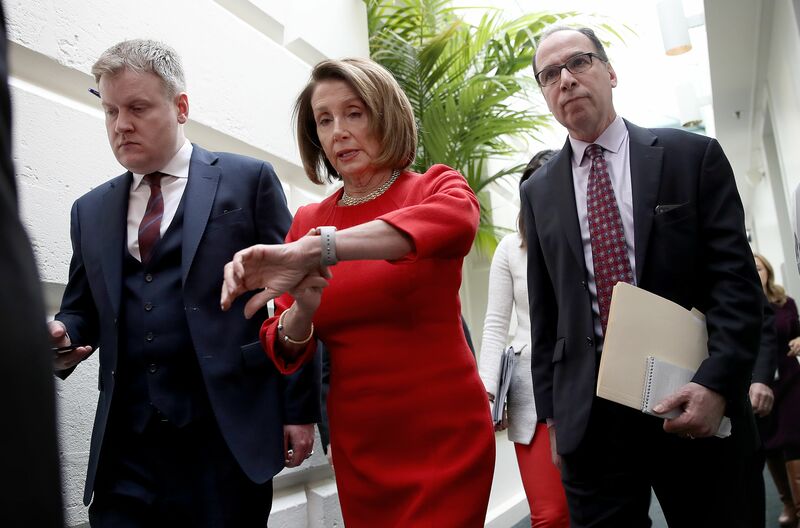 Above: House Speaker Nancy Pelosi checks her watch while leaving a meeting of the Democratic caucus at the Capitol. 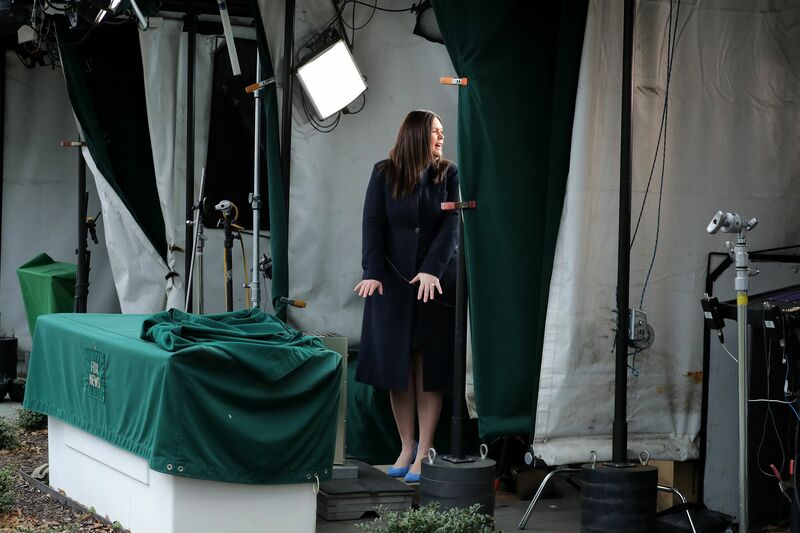 Below: Sarah Sanders warms her hands by a space heater before a television interview with Fox News outside the White House. The House Oversight Committee plans to begin "an in-depth investigation" of the White House and Trump transition team's procedures for granting security clearances. Go deeper. There could be "zero" growth in the U.S. economy if the shutdown lasts through the end of the first quarter, the White House’s top economist, Kevin Hassett, told CNN's Poppy Harlow today. Jeff Bezos' space company Blue Origin conducted a successful launch and landing of its New Shepard rocket and crew capsule today. Go deeper. David Einhorn's Greenlight Capital had another trying quarter in a year where "nothing went right" — bringing the fund's 2018 losses to 34.2%. Go deeper. Valentine's Day is just a few weeks away, and if you're looking for Sweethearts candy, good luck, USA Today reports. "Sweethearts will be missing from the shelves this year, as the company that makes the candy, the New England Confectionary Co., went out of business." The CEO of the firm that bought NECCO: "We are looking forward to announcing the relaunch of Sweethearts for the 2020 Valentine's Day season." "Amazon is selling boxes starting at $9, and on eBay, an 8-pack box of candies is going for $12."